The latest "supergroup" to come together features ex-Taking Back Sunday's Fred Mascherino, Coheed and Cambria's Josh Eppard and Hot Rod Circuit's Andy Jackson to form Terrible Things. The band's debut album was released on August 31 and carries the concept of the reign of arsons that threatened Fred's former hometown in Pennsylvania. The album carries a heavy weight with its subject matter, but lives up to the expectation. The songs range from the hard rockers "Revolution" and "Not Alone" to the more radio-friendly sounds of "Up At Night" and "Conspiracy." The song "Been Here Before" shows a softer side to the group's overall sound. The lyrics and acoustics capture the true feelings of the song's meaning. The album's concept comes shining through on the closer "The Arsonist's Wife," which shows off the band's song-writing talents. 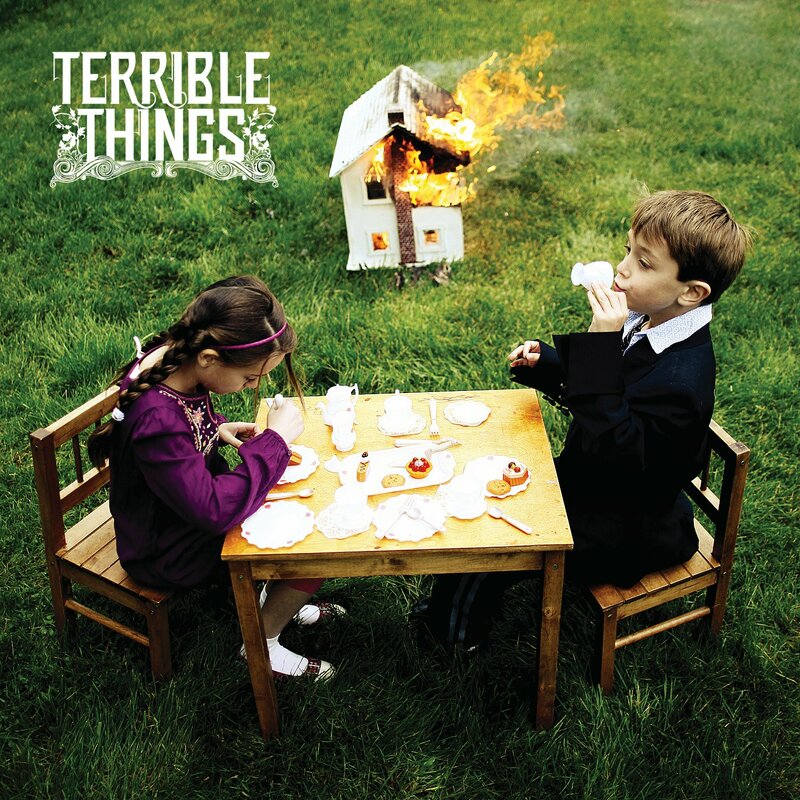 Terrible Things will begin a two month-long tour in October to support their new album. They will pay a visit to The Space in Hamden, CT on October 15. 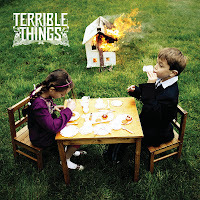 For a complete list of tour dates and album information, visit www.myspace.com/terriblethings. For the first time, the original demo songs of two of the Dirty Dancing soundtrack's hits will be released to the public to hear. Not only that, but the proceeds of the purchase of these songs will go to The Patrick Swayze Pancreas Cancer Research Fund of Stanford. This 4-song digital EP will be released on September 7 to coincide with the one year anniversary of Patrick Swayze's passing. This digital only release contains only four songs, but they are songs that we've all come to know and love. Now, let's remember that these are the demos and should not be compared to the released versions from the Dirty Dancing Soundtrack. The EP contains two versions of the mega-hit "(I've Had) The Time Of My Life." The original demo version is the exact song that Patrick Swazye and Jennifer Grey danced to in the unforgettable finale in the movie. Sung by Franke Previte and Rachele Cappelli, their voices mesh together so well, that you can feel the heat and passion between these two voices. The remix version adds a little more dance beat and a more polished sound to the song. The other very well-known song on the EP is "Hungry Eyes," also sung by Franke Previte. This demo version does not stray far from the released version sung by Eric Carmen. The treasure on this release for fans is the demo of "Someone Like You" which was not released on the original soundtrack. The version heard on this EP is performed by PJ Le querica and Elan Rivera. This song was originally written for Bill Medley to use in the movie, but was latter dropped. An instrumental of the song can be heard in the stage version of Dirty Dancing: The Musical. "Dirty Dancing: The Original Demos" will be available through iTunes, CD Baby and all major digital outlets. For more information on this release, please visit www.myspace.com/dirtydancingdemos. 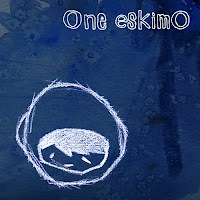 One Eskimo released their debut album almost one year ago, but are now finding the attention of music fans everywhere. U.K. singer Kristian Leontiou created One Eskimo in order to place more of a focus on the music and it sure has paid off. On the album's opening track "Hometime," acoustic guitar chords and Kristian's voice ease you into an amniotic embrace. The music just floats on by on "Astronauts" which allows the listener to focus on the lyrics. One Eskimo does expand upon their sound with the dance-pop beat of "Kandi" and the vocally layered "Slip." The track "Simple Day" is when it all comes together, the vocals and music, to make a simple of effective song. "Givin' Up," the latest single off the album and makes the transition from electric-folk to dance-floor beats. One Eskimo mixes in a Dave Matthews Band guitar with horns, along with some Beatles harmonizing and produces a masterpiece, "All Balloons." One Eskimo have been featured on a number on shows including Bones and the Ellen DeGeneres Show. They finished up a tour with Tori Amos in 2009 and performed a dozen dates on their own this summer. Their full-length debut album is available now. Please visit www.oneeskimo.co.uk for more information. CD Review: Zero 7's Best Of On "Record"
Zero 7 is the British musical duo of Henry Binns and Sam Hardaker. Their careers began back in the early 90's engineering music for the Pet Shop Boys and Robert Plant. In 1997, the duo made a remix of Radiohead's "Climbing Up The Walls" that caught the attention of BBC Radio 1. Zero 7 has gone on to do remixes of songs for Lenny Kravitz and Sneaker Pimps. Their debut album was released in 2001 and after ten years and four albums, Zero 7 thought is was the right time for a "best of" album entitled simply "Record." Released back in June, "Record" captures a lot of the group's greatest recordings on one CD. The music on this "best of" album doesn't sway much from its amniotic, trance like soundscapes. The one factor that makes the songs standout is the different lead singers involved. The smooth voice of Jose Gonzalez on "Futures" and the deep tones of Mozez on "I Have Seen" give the album a bit of a masculine touch before the ladies take over. Zero 7's favorite singer, Sia, appears throughout the album with her quiet, almost whisper-like vocals. Singer Eska lends her vocals to the dance-floor beats in "Everything Up" and "Mr. McGee." Zero 7 shows off their funkier sound with the instrumental "Salt Water Sound." The vocal additions of Jackie Daniels and Sophie Barker are also included on this hits record. 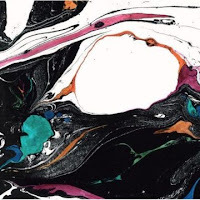 Zero 7's new album "Record" is available now on Atlantic Records. Go to www.zero7.co.uk for more information. 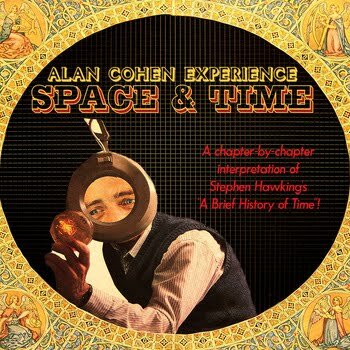 CD Review: Alan Cohen Experiences "Space & Time"
The Alan Cohen Experience's latest release "Space & Time" is strongly based on Stephen Hawking's book "A Brief History of Time." Cohen found inspiration while reading this book and his new album definitely reflects it. Cohen introduces you with a reading from John F. Kennedy relating to space and science spoken over an almost a "Stairway To Heaven" style instrumental. His lyrics in the song "Is It Infinite?" make you wonder as he tries to expand your mind with his voice and music. Songs don't get much more simpler than "Einstein," but its the simplicity that makes these songs catchy. He doesn't try to confuse you with any obscure terms, only what is needed to keep you remembering these songs. "The Uncertainty Principle" carries a pop beat with some uncommon lyrics, while "Black Hole" pulsates into your memory. Alan has fun simplifying the understanding of the universe and the music on his new album reflects that. Who else would rhyme the words "atom" with "madam." Alan finishes the album with a reading from Stephen Hawking to sum up the album's meaning. This album will be available on August 31 through the Alan Cohen Experience website (alancohenexperience.com). Also check out the website for updates and tour information. 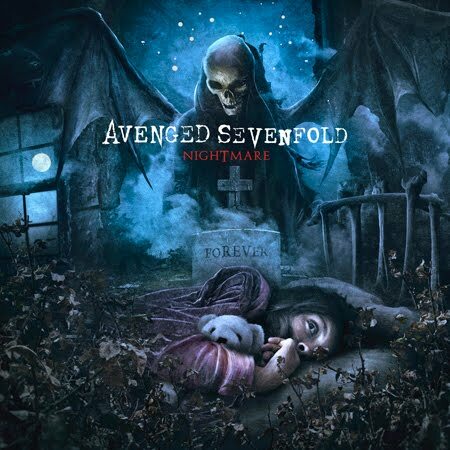 CD Review: Avenged Sevenfold Overcome Tragedy With "Nightmare"
Avenged Sevenfold have overcome one of the biggest obstacles that a band can endure, the loss of a band member. The unexpected death of drummer James "The Rev" Sullivan put the band's latest album on hold, almost threatening not to be released at all. But instead, the band found it as a tribute to their fallen band member by releasing the album that still included The Rev's vocals and we are all grateful for it. "Nightmare" is the band's strongest, most powerful and moving album to date. The new album starts off strong with the title track "Nightmare." It's a heavy piece of music that acts as an introduction to the rest of the album. Mike Portney from Dream Theater steps in on drums, and while he doesn't try to replace The Rev, Mike adds his own style to the songs. The military march of "Danger Line" quickly changes with guitar intro by Synyster Gates. Mike's drums and Synster's guitars try to push the vocals of M. Shadows, but instead his vocals slow the song's finish. Avenged Sevenfold allow the songs to build on their own as in "Buried Alive." Starting off with a mellow guitar solo, the song ends as an "in your face" hard rocker. The band's power is in their heavy metal sound that's on display in the songs "Natural Born Killer" and "God Hates Us." They balance these metal rockers with a few slower ballads (So Far Away, Victim and Tonight The World Dies) to show us how their song-writing has grown. The piano provided by David Palmer becomes the centerpiece of "Fiction," before the band returns to their metal roots on the epic album closer "Save Me." 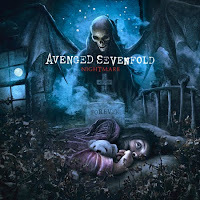 "Nightmare" was released at the end of July on Warner Bros. Records. It debuted at #1 on the Billboard 200 album charts selling over 160,000 copies in its first week. Avenged Sevenfold are currently on tour as part of the Uproar Festival with dates all the way until October before heading overseas. Visit the band's website (avengedsevenfold.com) for more information. 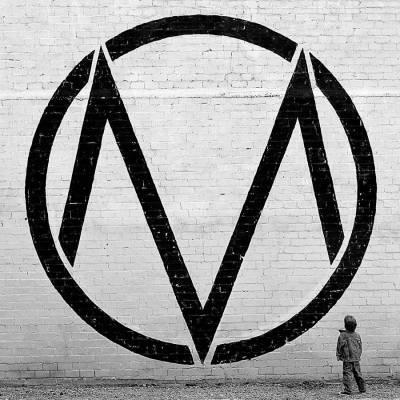 Alternative rockers The Maine have recently released their sophomore effort entitled "Black & White." The album came out in July on Warner Bros. Records and features the band's strongest effort to date. The album debuted at #16 on the Billboard 200 album chart. Right from the opening track "Don't Stop Now," you can tell the band has taken a big step forward in song-writing and performing. The band's pop aspects shine through on "Rich Girl" and "Listen To Your Heart." The album's first two singles "Inside Of You" and the power ballad "Growing Up" show the best The Maine has to offer on this new release. The catchy chorus and energetic beats is the formula for success for this band. The Maine will be on tour in the US until the end of August before heading overseas in October. For tour dates and album information, please visit the band's website, www.wearethemaine.net. 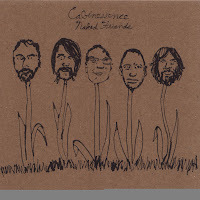 CD Review: Cabinessence Brings Along Their "Naked Friends"
If you combine the harmonies of the Beach Boys and the experimental sounds of the Grateful Dead, you get Cabinessence. 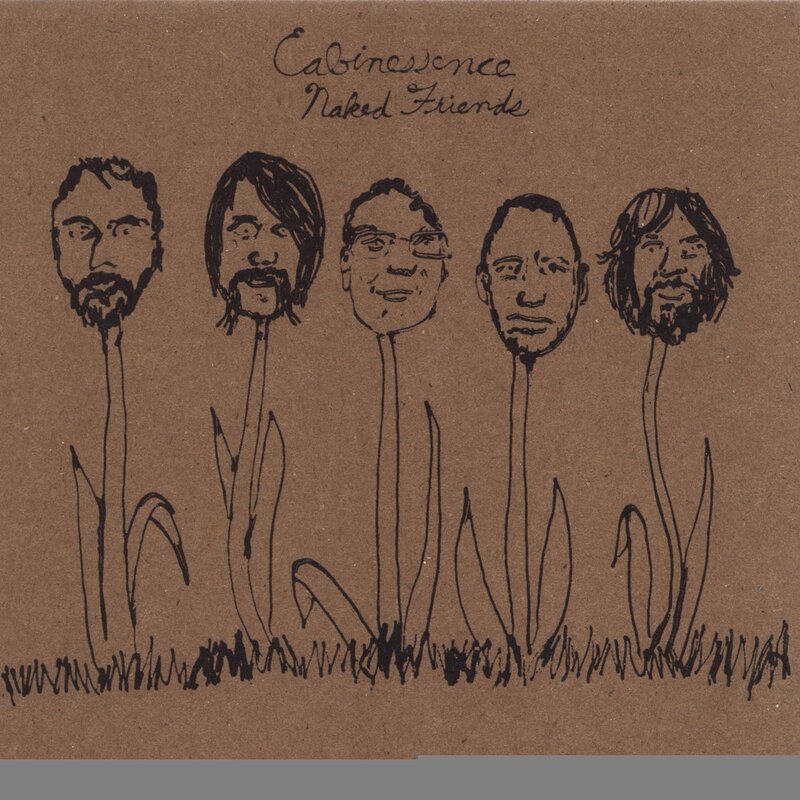 Their new album, "Naked Friends" was just released on Spark & Shine Records and features some of the band's best work to date. The harmonies on "Blown A Test" along with the country-twang guitars makes for an interesting combination. The vocals on "How I Learned" sound like the second coming of Jerry Garcia along with a blues-chugging sound. The experimental sound of "Pray" is a flash-back to the psychedelics of the 60's. Once again, the harmonies on "Grace" are outstanding along with organ tone floating in the background. The sound on "Ruby's Moon Elevator" just leaves you wondering, what or if lyrics are needed for this of any of the songs on this album. In this day in age, there are not many things that are worth the money. Sometimes at music concerts, you feel ripped off because the band you came to see didn’t play your favorite song or they only performed for an hour. 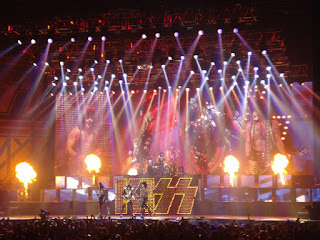 However, at the Kiss show on Thursday night, the sold-out Mohegan Sun arena sure got their money’s worth and more. In between the classics and new songs there was a visual spectacle to behold. Gene Simmons, the demon, breathed fire at the close of the song “Firehouse” as well as spit a mouthful of fake blood. He was hoisted to a platform above the lights to perform the 1982 song “I Love It Loud.” Gene was not alone in this grand theatrical event. Guitarist Tommy Thayer shot fireworks from his guitar during the solo of “Shock Me.” Drummer Eric Singer, whose drum set is already positioned ten feet above the stage, got raised another thirty feet in the air to perform his drum solo. Lead singer Paul Stanley is one of the last perfect front men in music. He had the audience clapping and singing along all night. His time came during the encore when he flew on a zip line out over the audience to the back of the arena to perform “I Was Made For Lovin’ You.” A fireworks display along with a showering of confetti during Kiss’ most popular song “Rock And Roll All Nite”, capped off an evening that kept the Kiss Army on their feet the entire time. The night’s musical festivities began with the hard-hitting trio Tester. They were followed by the alternative rock sounds of The Envy. 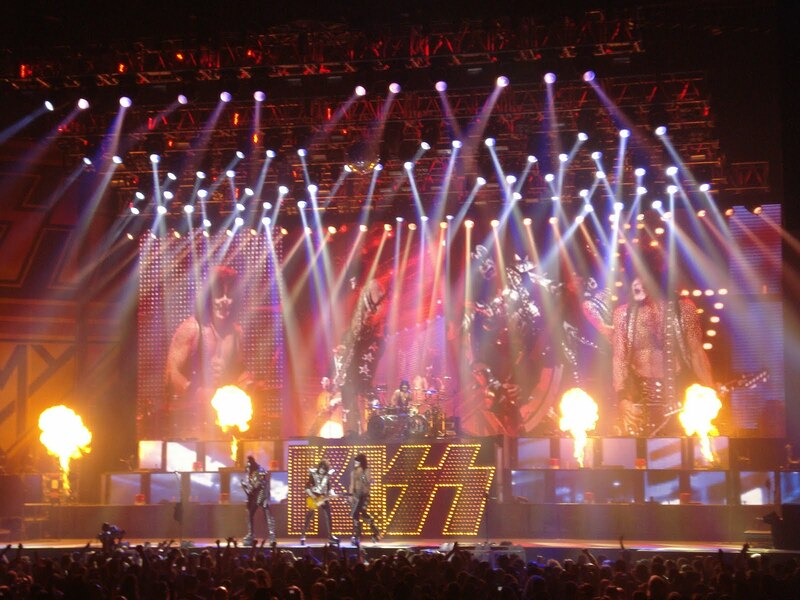 The Academy Is… put on a 40 minute performance that got the audience ready for another ultimate Kiss experience. 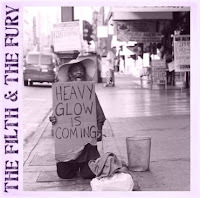 Heavy Glow have just released a new EP entitled "The Filth and the Fury." 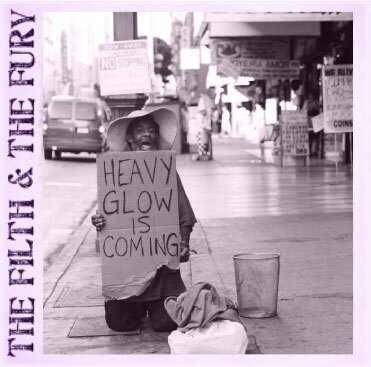 This new rock trio from San Diego expands on their heavy classic rock sound with some modern vocals supplied by front-man Jared Mullins. The stand-out guitar solos and repetitive chorus makes the lead-off track "I Almost Prayed" hard to resist. The EP's first single "Hot Mess" is exactly that. The crunch of guitars and pounding drums trying to play catch-up with each other work great with the song's blues-rock vocals. It noticeable that Heavy Glow concentrate more on the music than the lyrics, but that's fine when your music sounds that good. Look for Heavy Glow's new EP available now on iTunes, Amazon and Rhapsody. The song "Hot Mess" is available on the CD sampler for the July issue of Classic Rock magazine. Check out the band's myspace page (www.myspace.com/heavyglowmusic) for more information. 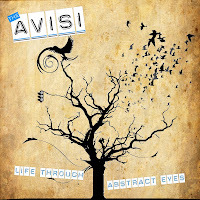 CD Review: The Avisi Gives Us "Life"
From the south of Wales comes The Avisi. Their new EP entitled "Life Through Abstract Eyes" is available now as this 4-piece band is ready to take-off onto the music scene. 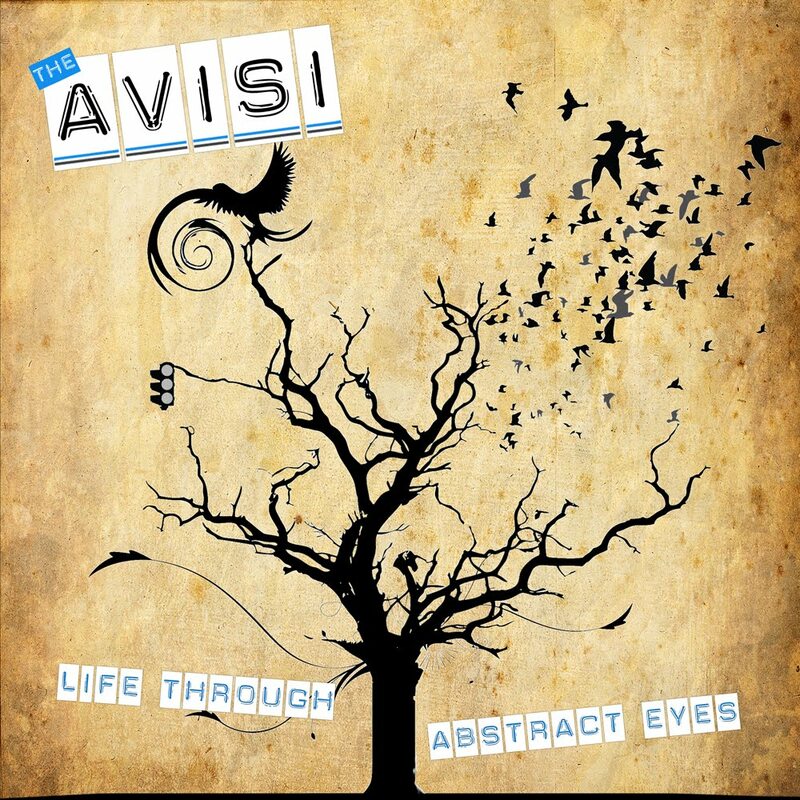 The EP is a concise, brief taste of what The Avisi has to offer to the alternative music scene. The album's lead-off song is upbeat and easily deserves repeat listens. The music does not overpower the vocals and the chorus is simple and catchy. "Alternate Love Song" slows down the pace, but only slightly. The music behind this song draws up a slight resemblance to the music stylings of Weezer. The third song on the EP "Take Me Away" makes the vocals of Carl Ward the focus before the rest of the band picks-up the pace for the chorus. For more information on The Avisi, check out their myspace page (www.myspace.com/theavisi). 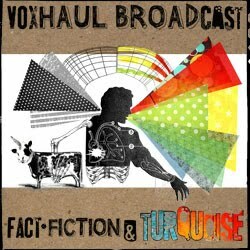 CD Review: Voxhaul Broadcast Rocks "Fact"
Voxhaul Broadcast have just released their new EP entitled "Fact, Fiction & Turquoise." This EP is the anticipated follow-up to their album "Rotten Apples." The unique rock sound of the opening track "Days Are Long" features a piano that battles to fit in with the other instruments and becomes the highlight of the song. "Fact And Fiction" carries a Rolling Stones-type shuffle to the song's sound with the vocals passionately sung over the top by Dave Dennis. "Lost Along The Way" seems like a Kings of Leon out-take with its unorthodox drumbeat and preaching vocals. Voxhaul Broadcast slows the tempo down to a waltz in the song "Tattooed Bible" before closing the album out with the guitar driven "Shivers." The band will be performing in various locations in California throughout the month of August before heading east in early September. Voxhaul Broadcast will be performing at Cousin Larrys in Danbury, CT on September 10. For more information, please visit www.voxhaulbroadcast.com. 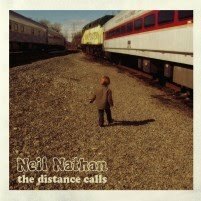 CD Review: Neil Nathan Answers "The Distance Calls"
Singer-songwriter Neil Nathan, a native of New York City, needed to travel to Detroit to record his debut album "The Distance Calls." His travels only helped his sound by getting The Go's Bobby Harlow to produce the album and a who's who of Detroit's indie rock scene to perform with Neil on the album. Neil Nathan's voice and acoustic rock sound draws strong similarities to Matthew Sweet, especially on the album's lead off single "California Run." The chorus is so catchy that it's sure to catch the attention of radio. Neil switches between the alternative rock sounds of "Highways" and "Get On" to the acoustic gentleness of "Don't Walk Away." The pop-rock songs "Never Enough" and "Too Late" show off a side of Neil's song-writing talent of putting together words and sounds that become memorable after only a couple of listens. The heartfelt ballad "Eyes Wide Open" lays his feelings on the table for us. Neil plugs in for the rocker "Better Be Goin'" before finishing with the folk sounds "Far Off." Neil Nathan's comfort is certainly with an acoustic guitar in his hands. His cover of Electric Light Orchestra's "Do Ya" was featured on Showtime's "Californication Soundtrack." His music also appeared in the film "Descent." Neil's debut album will be released on August 24 through Pirate Vinyl Records. For more information, please visit neilnathan.com. 8mm have released their much-anticipated EP "Love And The Apocalypse" back in June and if you haven't checked them out by now, you need to. 8mm is the combination of producer Sean Beavan (NIN, Marilyn Manson, No Doubt) and his wife Juliette. Their music has been featured in promos for the shows "Nip/Tuck," "Grey's Anatomy." "Cold Case" and other prime-time television shows as well as in the movie "Mr. & Mrs. Smith." Juliette's smooth, sultry vocals on the opener "Los Angeles" draws you into the group's relaxed atmosphere. Sean' s music acts as a pedestal for Juliette to stand up on and shine. 8mm does dabble with the alternative pop sounds of "Never Go Back Again" and "Life Is Good," but it's the piano of "Mean" that is all that's needed to make their music stand-out. 8mm will be performing a couple of shows out in Los Angeles in the next month. Their new EP is available now on iTunes. Go to www.myspace.com/8mm for more information. 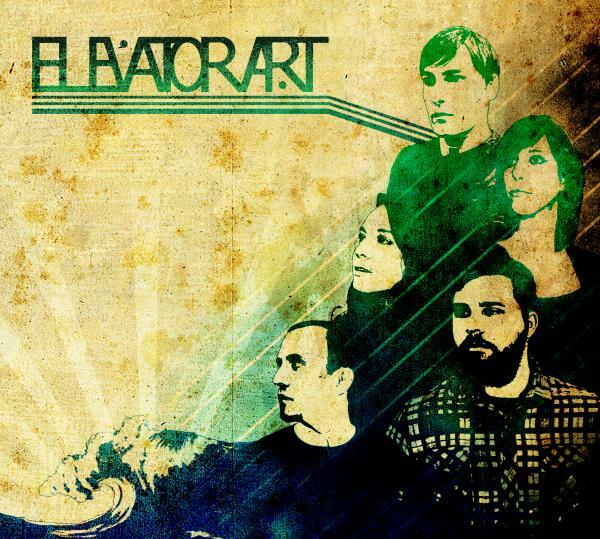 Elevator Art's debut album is filled with different musical stylings, and why shouldn't it. The group's four different lead singers each have their strong singing styles and the songs reflect it. Three guys (Daimon Santa Maria, Mike Jonin & Joseph La Scola) and two girls (Jennifer Mustachio & Maureen McGowan) perform all the instruments on the album as well as the vocals. The musical style for the album ranges from rock (Matryoshka, Punch And Judy) to folk (Gingerbread Veterans, Freedom Cell) to pop (Holland Flowers). The harmonizing on "Autumn Epitaph" gives the song a fuller, well-rounded vocal performance. "How Does The Day Find You" sounds like an out-take from Pink Floyd's "Meddle" era and "My Glass" taps the alternative vein of No Doubt. The band really rocks on the songs "Deja Voodoo" and "Blah Blah Blah" although the lyrics are simple, but effective. Elevator Art have been sticking close to home performing recently in their home state of New Jersey. 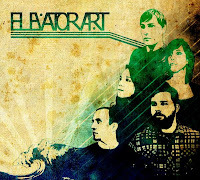 Please visit the band's myspace page (myspace.com/elevatorart) for more information. Since releasing her debut EP last year, Lissie has been on the elevator up to stardom. Performing shows with Ray LaMontagne and at the SXSW festival, she won the acclaim of new fans everywhere. Lissie will release her full-length debut album "Catching A Tiger" on August 17. The album has already reached #22 on the UK charts. The sweet sound of Lissie's voice draws you in right from the beginning with the song "Record Collector." Lissie expands her repertoire with the pop sounds of "When I'm Alone" and "In Sleep," but her strengths lie in her storytelling folk side as in "Bully" and "Everywhere I Go." Three of the songs on Lissie new album were carried over from here EP and with good reason. "Little Lovin'" is a slow-building tune that closes with a hand-clapping, foot-stomping finish. "Cuckoo" is a fun, acoustic rocker that allows you to sing along. Lissie keeps the music simple in "Look Away" which allows her lyrical improvisation to carry the song. She closes the album with "Oh Mississippi," a gentle prayer to the Mississippi River where she was raised. Lissie will be performing the rest of the year overseas, only stopping in the US once for the Austin City Limits Festival in October. Her new album "Catching A Tiger" was produced by Jacquire King (Kings Of Leon, Norah Jones) and Bill Reynolds (Band Of Horses) and will be released on Fat Possum Records. 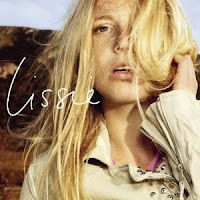 For more information on Lissie, check out her website www.lissie.com. 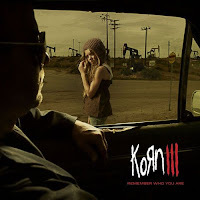 CD Review: Korn Wants You To "Remember Who You Are"
Heavy Metal band Korn return after a three year absence with "Korn III: Remember Who You Are" on Roadrunner Records. Also returning was producer Ross Robinson, who produced the band's first two albums. The sound on their latest release is "honest" without the use of Pro Tools to dissect songs. As front-man Jonathan Davis explains that the new album is "simple" and "not too overproduced." Korn is back to "just slamming people's faces like back in '94, '95, and '96." Whether or not Davis planned on a concept for this album, one of solitude keeps coming up, like the lyrics of "leave me alone" from the album's lead-off single "Oildale (Leave Me Alone)." The one thing that stands out is how raw and powerful the music sounds on "Pop A Pill" and "Move On" without the need for any extra production. The energetic drumming on "Fear Is A Place To Live" is provided by the band's longtime live fill-in Ray Luzier, who is now a permanent member. Davis seems to be battling some inner demons in "Lead The Parade" as he sings about "righting the wrongs" of his "tormented life." The album's second single " Let The Guilt Go" stands out above the rest of the songs on the album with its heavy drumming and buzzing guitars. The new album will please longtime fans with the band reverting to its heyday of the mid-nineties of just pure, heavy metal music. Korn are currently on tour as part of the Mayhem Festival before heading overseas at the end of August for 20 shows. The new album is out now, for more information, please visit modlife.com/korn. CD Review: Devo Has "Something For Everybody"
It has been 30 years since Devo hit the heights of mainstream music with their hit "Whip It" and 20 years since their last studio release. The world has been missing the keyboard antics and lyrical poetry that has become Devo's trademark. Many followers have come and gone, but none of them have matched Devo's studio wizardry. As much as Devo try to update their sound, it's still Devo and their new album "Something for Everybody" proves it. The album begins with a pounding drum, crashing cymbals and a fuzzy guitar riff and as you almost think Devo has turned to alternative rock, then the keyboards kick in on "Fresh." Devo's classic sound is still evident on this newest release by the band. While their song lyrics at times are thought provoking, "What We Do" is not one of them. Its catchy dance beat and repetitive chorus get drilled into your memory. The opening sounds of "Mind Games" refers to an Nintendo video game, as the songs flashes back to their '80s heyday. The band's energy picks up with the uptempo beats of "Human Rocket." One of the album's highlights is the song "Sumthin'" as Devo pulled out their nostalgia sound with its "Whip It" dance beat. The band tries to send a message about the lack of involvement with environment issues in "No Place Like Home." Devo are currently on tour in the US. Their new album "Something For Everybody" was released in June on Warner Bros. Records. Visit clubdevo.com for a complete list of tour dates, album information and more. 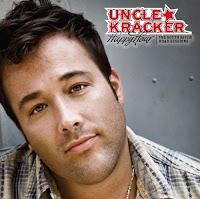 CD Review: Uncle Kracker Returns To "Happy Hour"
Uncle Kracker returns this summer with "Happy Hour: The South River Road Sessions" EP. The 6-song EP delivers stripped-down versions of songs from his 2009 Top 20 album "Happy Hour." For the most part, the songs benefit from the simpler production. The 2009 hit single "Smile" still shines from its sing along chorus, but the music works better than the overproduced 2009 version. "Good To Be Me" finds help in the form of Kid Rock, while the duet between Uncle Kracker and Jesse Lee on "Me Again" burns with its vulnerable lyrics. The EP continues with "I'm Not Leaving" and "Livin' The Dream" giving it a more country rock sound. The unreleased "Letter To My Daughters" shows us a soft side to Uncle Kracker as the "letter written" lyrics and acoustic guitars just melt together. Released in June, the album debuted at #66 on the Billboard 200 album chart and #9 on the US Country chart. This EP is a great little summer escape for 20 minutes of good ol' country music. The Portland, Oregon duo Hillstomp have a new studio album entitled "Darker The Night." The group's sound is hard to categorize into one genre. The banjo-heavy blues of "Banjo Song #1" gives us a bluegrass sound, but that quickly changes with "Cardiac Arrest in D" which sounds like a New Orleans blues number. 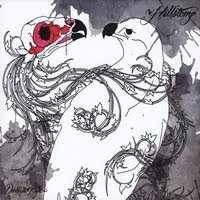 Hillstomp seemed to have taken some pointers from Jack White in "Jumper On The Line" with distorted vocals and a simple stomp-beat. The dark lyrics of "Cold Dark Woods" gets uplifted with its rock-abilly sound which draws similarities to Violent Femmes. Hillstomp have added some familiar re-workings of blues classics like "Crawdad Hole" and "You Got To Move." The duo's simplicity is what makes them stand-out on the songs "Little Angel Child" and "S.I.R." Hillstomp are currently on a tour of the west coast with Reverend Horton Heat & Split Lip Rayfield. Their new album "Darker The Night" is available on iTunes and CD Baby. For more information, please visit www.hillstomp.com. 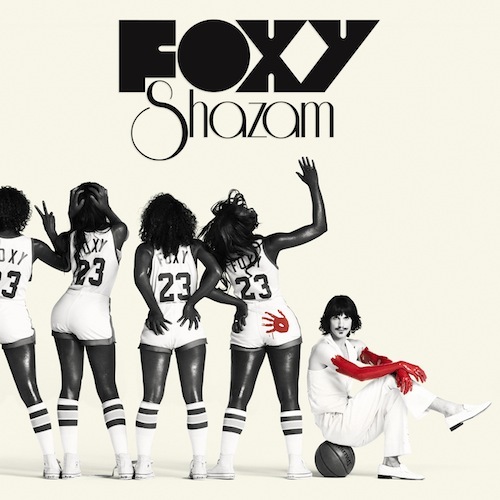 CD Review: Foxy Shazam Is "Unstoppable"
The month of April saw the third release by the rock band Foxy Shazam on Sire Records. Produced by Rob Cavallo (Green Day, Goo Goo Dolls) and John Feldmann (Goldfinger) the album debuted on the Billboard 200 chart at #151, a high for this new band. The one thing Foxy Shazam does is have fun performing and they radiate that fun through their music. The lead-off song "Bomb's Away" is a great rocker with everything thrown in. You gets fast paced drumming, searing guitar solos, horns, catchy chorus, screaming and a piano solo to finish it off all within three minutes. The album just grows on that success. The vocals of "Wanna-Be Angel" are too hard to resist singing along. Lead singer Eric Sean Nally has been compared to the legendary Freddie Mercury and the band Foxy Shazam to the great Queen because of their grand sound. The single "Unstoppable" is a sports-fan dream anthem, the song premiered during Super Bowl XLIV. The band shows their versatility on the hip-hop beats of "Connect" and the moulin rouge sounding "The Only Way To My Heart..." The energetic "Killin' It" and piano driven "Evil Thoughts" finish the album with a promising future for this American band. Foxy Shazam will be performing at this year's Lollapalooza as well as the Leeds Festival and Reading Festival in August. Visit the band's website (foxyshazam.com) for song samples, videos and tour dates. CD Review: Brad Looks To Make "Best Friends"
Brad (Shawn Smith, Stone Gossard, Regan Hagar, Mike Berg) are finally releasing their long awaited fourth album "Best Friends?" on August 10. The album was recorded back in 2000 and will be released on Pearl Jam's Monkeywrench Records. Even though the songs are almost 10 years old, they still hold up to today's musical standards. The piano driven opener "Price Of Love" shows a maturity to the band's song-writing. Shawn Smith shines with his multi-layered vocals. The band seems relaxed on this new album and it radiates in the first single "Believe In Yourself." The song "Rush Hour" sounds like it could have been included on Pearl Jam's "Binaural" album. Gossard's guitars and Smith's vocals mesh well, not intruding on each other's talents. The acoustic guitar and piano along with Smith's vocals on "One Love Remaining" are just so good, you'd wish the song kept going past its five minute mark. The band does pick-up the tempo with the help of drummer Regan Hagar on "Low," a Black Crowes-type southern rocker. Brad shows us their musical stylings with the lounge-feel "Luxury Car" and the acoustic folk of "Bless Me Father" before ending with the pop-rock sounds of "Holiday" and "Runnin' For Cover." 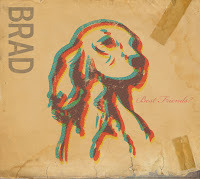 Brad' new album "Best Friends?" will be available through independent retailers and through Pearl Jam's Ten Club. For more information, please visit www.bradcorporation.com. 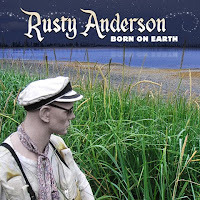 CD Review: Paul McCartney's Guitarist Releases "Born On Earth"
For the past decade, Rusty Anderson has been providing the lead guitars for one of the biggest names in music. 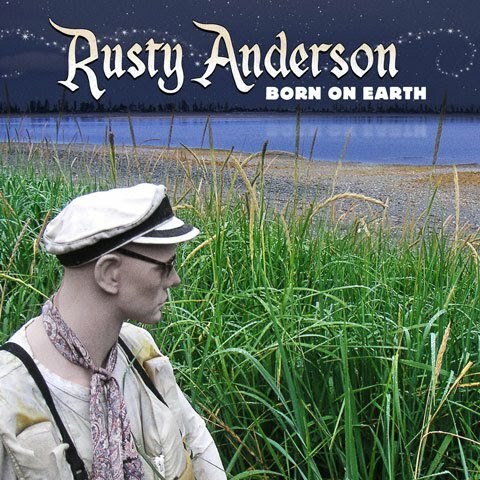 As a member of Paul McCartney's Band, Rusty has toured the world and performed on McCartney's last 3 studio albums, but now it is time for Rusty to release his second solo album, "Born On Earth." It allows Rusty to open up and experiment on his own. The album opener, "Born On Earth," gives us everything Rusty Anderson has to offer. Rusty shows-off his guitar playing with a loud, crunching sound, as well as his passionate vocals and harmonies. When you hang out with Paul McCartney for the past ten years, something's bound to rub off. The songs "Timed Exposure" and "Julia Roberts" find the guitarist effectively using the former Beatles' way of structuring songs. Anderson's pop aspects shine through on "Baggage Claim" and "Under A White Star." The soft gentle acoustics of "Private Moon Flower" and "Where Would We Go?" is were we find the songwriters' true strength. His use of instruments flow together to capture a great sound. "New Beginning" reminds the listener that Anderson still knows how to rock. Rusty Anderson is still working his day job, performing guitar duties on the Paul McCartney's "Up and Coming Tour." His new album, "Born On Earth" was released on August 3 on Oxide Records. Visit rustyanderson.com for more information. 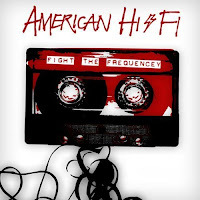 CD Review: American Hi-Fi Put Up A "Fight"
American Hi-Fi return with their strongest effort to date "Fight The Frequency." It's also their first album in five years and their first album to feature all the original members since 2003. Some members of the band have been filling-in for Miley Cyrus's touring band. It seems that the time away strengthened the band's sound and songwriting. 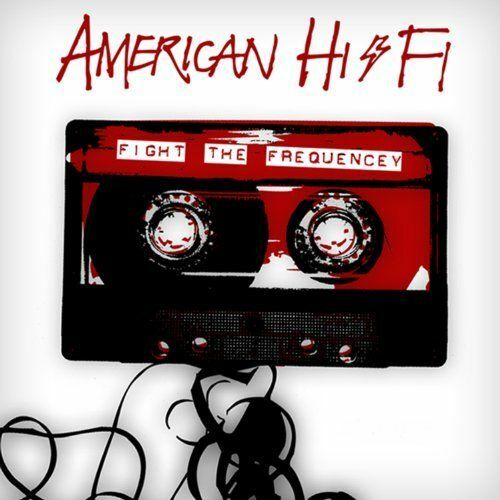 The band's familiar alternative-punk sound is blasted with the album's opening track "Fight The Frequency." The acoustic-pop aspects of the album shine with "Where Love Is A Lie" which is sure to be a radio staple. The album's lead-off single, picks up where their hit "The Rescue" left-off. Stacy Jones' vocals draw you in to the song's meaningful lyrics. "Fat Clump" is a heavy-rocker that seems out of place on this album. The album ends strong with the pounding drums of "Bullet" and blazing guitars of "Tiny Spark." Look for the band's new album to hits stores on August 17th and check their myspace page (myspace.com/americanhifi) and website (americanhi-fi.com) for tour announcements. Upon arrival to the 24th Annual Greater Connecticut Traditional Jazz Festival I was greeted at the south tent with the Dixieland Jazz sounds of Cornet Chop Suey. Their mix of cover songs and originals please the near capacity crowd. Tom Tuckers’ trumpet and vocals led the rest of his band mates through a cover of “Sweet Georgia Brown.” The band’s brand new song “Sweet Hearts On Parade” began with a marching drumbeat and coronet solo. A cover of Gerry Mulligan’s “Love In New Orleans” brought couples to the dance floor to embrace one another during the slow waltz. As the horn section scattered to the four corners of the tent, Cornet Chop Suey finished their set with one of the most beloved songs of all time, a jazzed-up version of “Somewhere Over The Rainbow.” A well-deserved stand ovation followed the final notes. As one band would end, the next band would be ready to step up and keep the music flowing. The Dixieland style of The Galvanized Jazz Band took over the stage in the south tent to present some sing-along classics like “Oh Suzanna,” “Shortnin’ Bread,” and “Carolina In The Morning.” The Galvanized Jazz Band’s performance that afternoon stood true to the very meaning of the word “traditional.” With so many great songs in their repertoire, they easily became a fan favorite to many of the jazz patrons on hand. Their classic, fun-style brought back many memories to an earlier time in all our lives. The combination of beautiful weather and great music made for a perfect weekend for the Greater Connecticut Traditional Jazz Festival. Along with a great turnout, a repeat performance will be in order for next year.